I don't know if it was because it's a new year or because something just changed in my brain but the thing is, last week, I had this urgent feeling of decluttering my social media. Decluttering my feeds, dashboards, whatever it was. I started with YouTube, then Bloglovin and then moved on to Instagram and Twitter. And I feel like many people out there might need help in that department. Having a clean feed is calming and liberating. It makes me feel tidy while a busy feed makes me feel anxious, chaotic and cluttered without me even realising. 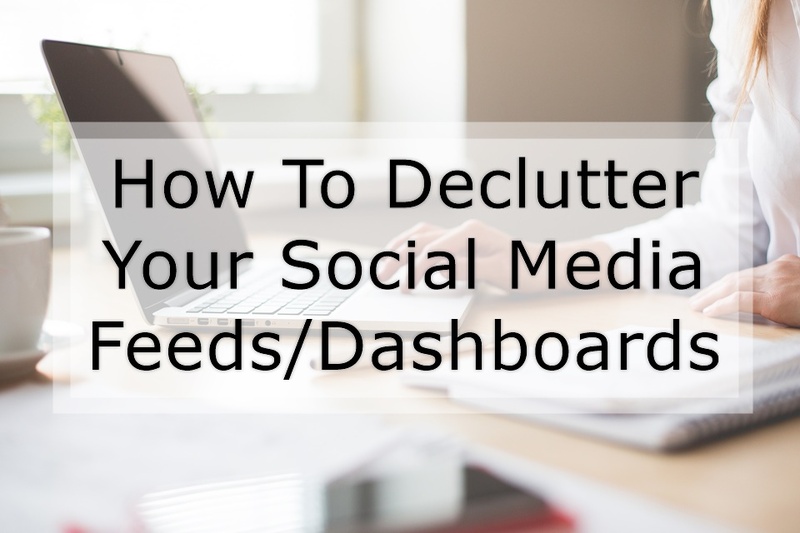 If you feel like going on social media is a chore and you don't love social media as much as you did, maybe consider having a declutter. If you have trouble in that area and don't really know what to do, here are some tips on how to clean your feed. Unfollow everyone that you haven't seen in the past 4 months. Looking at the list of accounts you follow, I'm sure you'll find many that you haven't checked out in a long time. What made you follow that account? And why aren't you interested anymore? Unfollow them, don't hold on to things that don't spark joy. There are always those accounts that we're following simply because they're famous or because they're a "must follow" when in fact you couldn't care less about their content. Just because everybody is running after the rainbow, that doesn't mean you can't focus only on the rain. Even those people that you might really love because of who they are or because of their work, but you don't care what they post on social media, then unfollow them, they're just clutter. Everybody is thriving for success and it's important to surround your life with people that inspire you. If somebody/something doesn't inspire you, you don't need them in your feed. Keep your social media a place where you can go to enjoy yourself and get your mind running at the same time. A place to get motivated and to inspire you to work hard for your goals. There's gotta be some accounts that when you look into them you don't remember why you followed them, who they are or sometimes you don't even remember following them. Don't hold on to them thinking "if I followed, it must've been important" and thinking you'll eventually remember. Unfollow them, get them out of your feed and if they really were important, you'll remember someday and you can always follow them again. Picture above taken from Pixabay.